How many calories does cycling burn per mile? Well.. It depends. There’s a whole load of variables that need to be addressed before you can know. But I’ll do my best to go through them now so you can have a rough estimate of how much extra food you can eat, because we all know that’s why you’re really here. As you can see above, I’ve added in a cheeky chart for you to inspect. Now this is a very, very rough guide and not something I’d take seriously. It is, however, a good starting point. 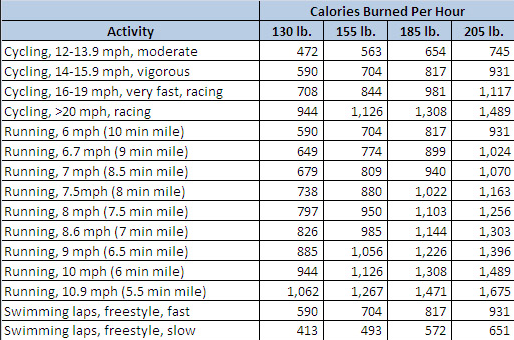 So, if we look at the chart we see that if a 180lb cyclist cycles at around 14-15.9mph, they burn 817 kcal an hour. Lets say they were cycling on average 15 miles per hour. We could just divide 817kcal by 15 miles. So in our example the cyclist burns 54kcal every mile that they cycle. 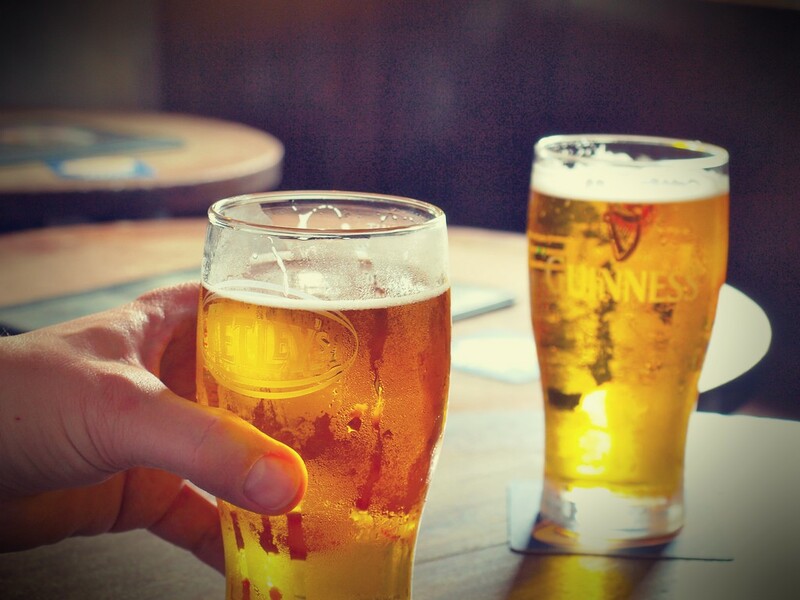 A side note: An average beer of around 4% alcohol is about 190kcal, so you’d have to cycle 3.5 miles for every pint. That sounds like a fun game! Cool, so if you just wanted a really rough guide of how many extra calories you burn on the bike, that chart is a handy tool. If you want the data to be little more accurate, you can use online calculators, such as the ones here and here and here. (The last one is super specific. It includes the types of tires your using and the temperature at the time of the ride). I just did if for fun and got 998kcal, 907kcal & 750kcal for cycling at a speed of 15mph for 1 hour. So nearly a 250kcal difference between the three. Not all that helpful if I wanted a truly accurate representation of the energy that I had expended. A little unknown nerd fact for you to impress people with:A calorie is defined as the amount of energy needed to raise the temperature of 1 gram of water through 1°C. (It makes no sense to me either). Knowing your energy output is important if any kind of change in weight is desired. It’s far too easy to overestimate the amount of calories you’ve burnt, and then consequently overcompensate. No Dad. 10minutes on the treadmill isn’t the equivalent to a box of after eights. As you’ll see from the biking calculators personal factors such as weight, age, gender, as well as a host of external factors such as weather, terrain, bike tire width, etc, all effect how many calories you burn per mile…And this is just scratching the surface. Even things like what you ate for breakfast will effect your overall calorie burn. This means that the results given out by calculator calories could be bang on, pretty much right, or way off. Either way, it would be down to luck more than anything else. 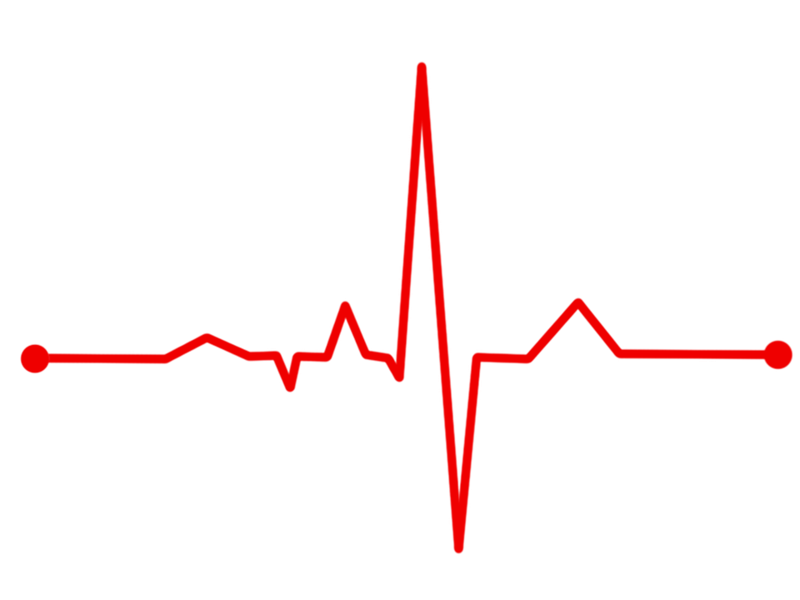 In a lab setting, researchers rely on highly specialised ​monitors like an electrocardiogram (ECG or EKG), which measures heart rate, and the metabolic cart, which measures oxygen exchange, to calculate calorie burn. Related Post Kettlebell Exercises For Cyclists: Want To Improve Performance? The more effort you put in, the higher your HR will be, the more energy you’ll burn. 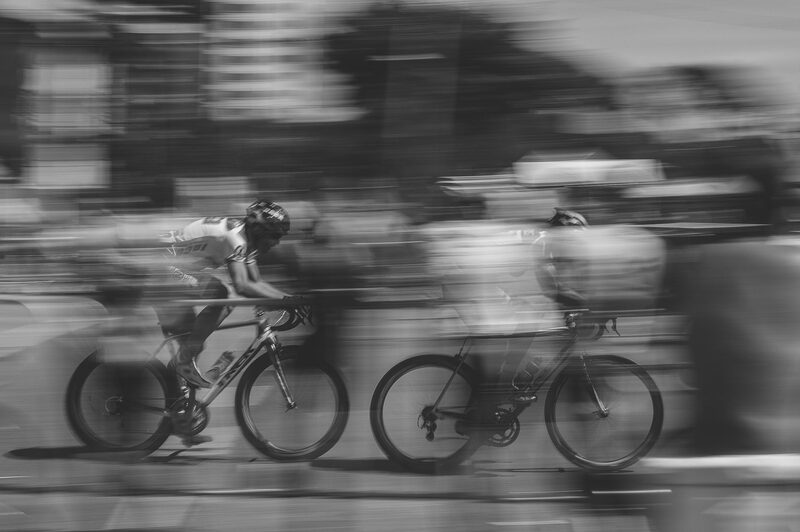 By wearing a HR monitor your syncing your body to the bike and the conditions you’re riding. For example, you’re going up particularly muddy mountain bike track, and it’s raining sideways and your back break is stuck half on. 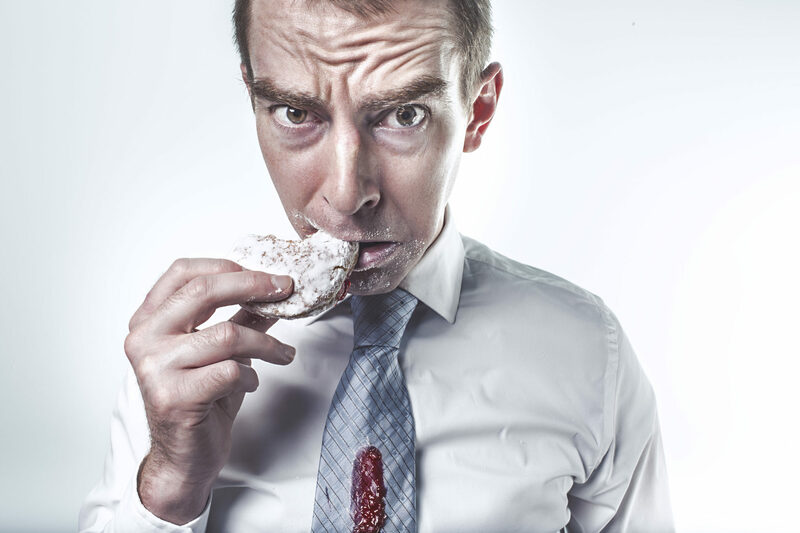 A calorie calculator is unable to interpret those conditions, where as your HR will reflect it far more accurately. But be careful not to rely on it too much, there’s also a lot a of variance in HR. For example, your normal exercising HR is 150, but today because were you were tired, you drank an energy drink. Now your exercising HR is 180 due to the caffeine. 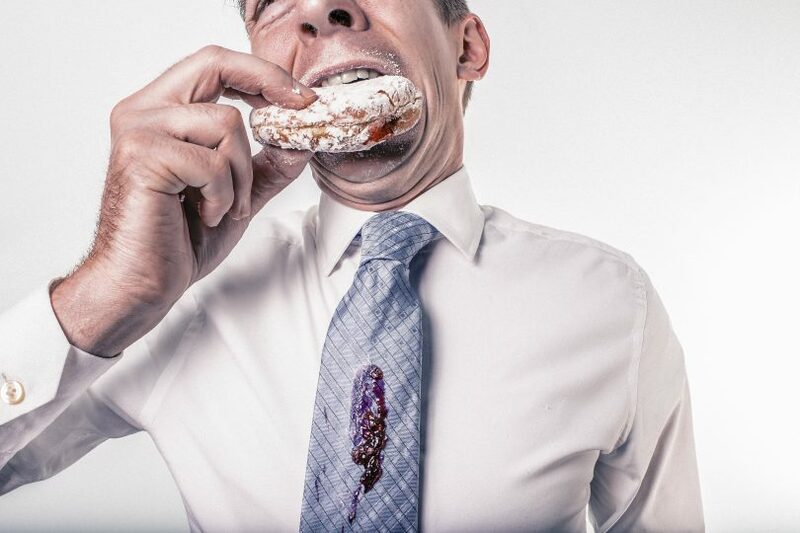 Your HR is higher but you’re not burning any more calories. ​If you’re looking for the most accurate calorie burn from your ride use a power meter. These measure the amount of work you’re performing, and give you a number in kilojoules (kj). Conveniently, kilojoules and calories burned in cycling convert to a 1:1 ratio. Great for someone with my mathematical ability. So, if you performed 500kj of work, you can feel fairly confident, within a 5% margin of error that you’ve burnt 500kcal. Power meters can come in hubs, crank arms and pedals. Click here for some great reviews on power meters by DCRainmaker​. ​Although I risk sounding super cliche, one of the best ways to measure how many calories you’re burning it to listen to your body. If you’re starting to feel a bit rubbish and you lack energy. Up the calories or cut back on the workouts. Regardless of any data equipment is giving you. If weight loss is the over all goal, keeping track of your calories is of equal importance. Myfitnesspal is a free online calorie counter and diet planner. The site/app allows you to track over 2000000 foods accurately. All you have to do is scan the packaging of the food you’re eating, and it inputs all the nutritional data for you. Great for the calories in, calories out calculation. Whatever your goals are​.